Two factors have contributed to my inability to express my experience here in Mexico these past few months: 1) a broken camera lens, because iphone pictures just don’t inspire accompanying prose like a real camera does; and 2) it’s hard to know what’s worth sharing when the one constant about life in Mexico is the awareness that so much more is going on here than one person could perceive, much less one foreigner. The experience of big city life is as exciting and inspiring and overpowering and stressful as they say it is, but as my first time really calling a cosmopolitan space home for more than a few months, it’s all been welcome. Weekdays spent squashed into crowded subway trains and staring longingly out the window of a fourth story office building are balanced by weekends perusing fresh produce in the marketplace, pausing for shrimp tostadas and a taking a scenic detour through painted ceramics and woven textiles. Nights can be spent swaying in harmony with a few hundred people to the sounds of indigenous flute and drum remixed to electronic beats and psychedelic synthesizers under the high ceilings of an old mansion from the Porfiriato converted into a cultural forum by enterprising millennials. Or maybe watching from the periphery a discussion of Mexico City subversives about whether modern marxism can really be adapted to define a path for open source software. Or maybe we take a Sunday to join mexica revivalists in ceremony and song for a temazcal (sweat lodge) at the foothills of a volcano and give thanks to Ometeotl. Every other week I miss a festival of some kind, of books of documentaries of chocolate, but for every event that passes, three more are advertised for next week, and I still haven’t even made it to Tepoztlán. After a year all I can say is there’s is so much to learn here, so much to see and taste and consider. Lucky for me, I don’t have to paddle back to shore any time soon. Semana Santa/Holy Week is the only major holiday besides Christmas/New Year’s that everyone gets more than a 3-day weekend in Mexico (we get a 4-day weekend, a downgrade from the full week granted in Guatemala, but a vacation nonetheless). This means that the country simultaneously implodes and explodes in various parts, particularly with a mass exodus from the capital cities converting into hoards of tourism descending upon every attractive coastal town. We decided to try something less popular to avoid the crowds and headed north into the deserts of Real de Catorce in San Luis Potosí. Pueblo Mágico indeed. The techo in our hotel room. Today’s trip to the local tianguis (farmer’s market) introduced me to my new favorite pre-columbian beverage, tepache. Served cold from a barrel, tepache is the product of fermenting pineapple skins and rinds with piloncillo, aka panela, a dark brown sugar made from unrefined cane sugar. I first met piloncillo as panela in Guatemala where it was sold in the farmer’s markets in giant chunks the size and shape of gold bars. Panela, with its naturally occurring vitamins, minerals and antioxidants, is one of those traditional Latin American foods that serves as a nutritious alternative to the white, processed sugar now prevalent. We even used it to successfully ferment kombucha in Nebaj, so it wasn’t surprising to hear it’s function in tepache. Thanks to the active cultures used to ferment tepache, the final product isn’t very sweet, but rather comes off like a hardy ice tea, the perfect companion for a newly-arrived Mexican spring. I am now a legal (temporary) resident of Mexico, a result of a bureaucratic immigration process that took me all the way to Costa Rica about a week ago. As part of attaining a work visa, I needed to exit Mexico and do a part of the paperwork at a Mexican consulate in any other country. I also only had 30 business days from approval to exit and reenter the country or the whole process would expire. In my search for available appointments at neighboring consulates, Costa Rica ended up being the only option. School and money meant Leo couldn’t join me, so I went sola. At some point just before touch down, I realized I hadn’t traveled alone since 2011 and was simultaneously exhilarated and nervous. Most of my travel in the past year has been in Guatemala and Mexico, with my native Spanish-speaking partner at my side handling most of the talking (because shy+lazy=I don’t speak to strangers unless necessary) and all of the paying attention to our whereabouts, so the prospect of being completely responsible for myself was refreshing, if not a bit stressful at first. Luckily, Costa Rica is a country practically developed just for tourism, and any sola female traveler should rest assured she can do it on her own just fine. In my case, after a quick visit to the Mexican consulate, I hopped on the next bus out of San Jose heading west to the coast (they leave every 40 minutes) and an hour and a half later I woke up in the humid port-side city of Puntarenas where the ferry leaves for the Nicoya Peninsula. With little time and little inspiration to wander too far off, I took the ferry across the bay to Costa Rica’s main stopover on the Central America hippy-backpacker trail: Montezuma. I found a small private room in a family-run hostel right on the sand and settled in for a three-day weekend (on the Mexican calendar). Long, perfect beaches, fresh waterfalls, and wildlife aplenty made this an ideal place for some nature-y, free tourist activities. I hiked to a new waterfall each day, trailing monkeys on river runs into the jungle and swimming with pelicans in turquoise waters along a deserted wite-sand beach. Costa Rica is the most expensive Central American country to travel in, and I can’t imagine going back any time soon (or ever voluntarily), but it sure was beautiful and made me grateful for this random gift of travel. I arrived at night and didn’t see how close the water was till morning. Easter-facing sunsets were a new thing for me. He was just walking down the street, like everyone else. River running. The trail to the waterfall was literally a series of hops, skips and jumps from rock to rock. Montezuma falls. It’s three tiers of deep pools with a jump-able waterfall at each. This waterfall fell right on the beach. This guy walked just in front of me for almost the whole trail while his friends stayed in the trees. Over the edge is a 50ft. waterfall into another deep green pool. As an expat in a new city, every experience in a public space becomes a lesson, or several, to be learned. For example, a ride on the green line of the Mexico City subway system (el Metro) is a rapid transit tour through both Mexican history and culture. Zapata, Cuauhtémoc, Juárez, all indigenous heroes of earlier Mexicos, immortalized, to apolitical extent, as station names. Niños Heroes: a station commemorating the child soldiers who would probably be deemed victims of human rights abuses these days. Etiopía: named after a traffic roundabout donated by the country of Ethiopia as a thank you gift from Haile Selassie. If history bores you, there’s always an array of impressive make-up tutorials to observe. The incredible precision with which women on the Metro manage to paint a perfect face, all while bouncing and rocking along in a speeding train, leaves me slack-jawed and staring every morning. Lip-liner, mascara, bronzer and all are applied in quick, deft movements that somehow anticipate every abrupt turn and screeching halt. This morning I watched a girl draw perfect eyebrows, all while the arm that held the brush was linked around the handrail to stabilize her. And perhaps my favorite technique is what I can only refer to as an ingenious use of a metal spoon to curl eyelashes in a maneuver I won’t even attempt to describe. And not to forget the all-important lesson of how one manages one’s movement during rush hour, la hora pico. In the midst of hundreds of people desperately trying to get to work at the same time, squashed into the same, compact spaces, not causing a breakdown in the flow of bodies becomes a matter of sanity and survival. As the train gets closer to the city center, the concentration of people increases exponentially. Scenes of uniformed guards helping to shove the last elbow and bum through the closing doors, or worse, struggling to pull people out of a vertical dog pile so they can get off at their stop, suggest the level of human strain one must endure for a morning commute. Like the metal spoon, words cannot do justice to this lesson, but try to imagine closing yourself like an umbrella for a start. In the end, it’s all worth it for a cross-city commute and a beginner’s course on Mexico that only costs 33 cents a ride. Mexico City, formally known as el Distrito Federal, is also known simply as el DF, and is now my new home. I came here uncertain of how long it’d last, but it’s time to start settling in. Mexico feels similar to a few very different places I’ve known in a strange but intense harmony, with moments of Los Angeles coming to mind in quick succession between images of the Ixil and others of Buenos Aires. Even so, a city this large constantly reminds me of how small my view still is. As I navigate el DF I also find myself seeking open horizons much like I did in Nebaj, only the mountains are this time replaced by skyscrapers and apartments. The few small trips I’ve taken have been beautiful reminders that vastly different landscapes that exist in this massive country. Sometimes, things just work out. 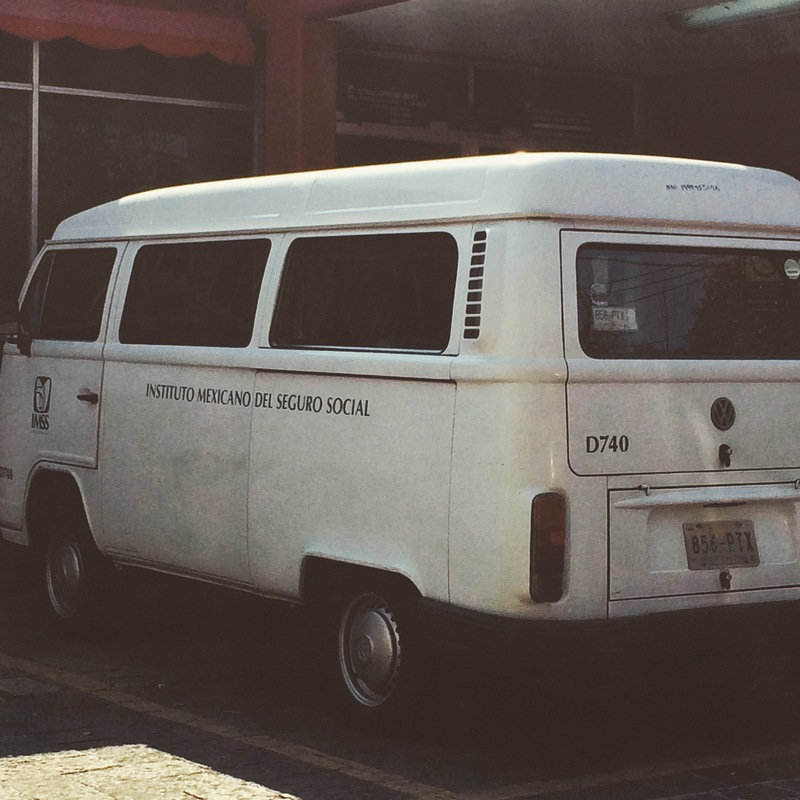 Such was the case when a month ago I found myself in a taxi cab speeding through downtown Mexico City (el D.F.) from the airport to meet my boyfriend (who I hadn’t seen for four months) and to start a new job. In a nutshell: I had applied to a job in Mexico that I didn’t think I’d get but applied anyway because it was in the same city to which my bf had just relocated to for school. And then all of a sudden I got it, with a request to relocate to Mexico City two days after receiving the news. The nature of my life has been such that this was a perfectly normal situation: pack up my life into a suitcase and fly to another country to start a completely new life for an undefined amount of time, forever a serial expatriate. I left Guatemala back in May with no fixed plan except the vague and daunting task of finding the next job. Sadly it was not an unfamiliar circumstance to move back home and benefit from the kindness of family while desperately seeking my next gig (cheers to the boomerang kids). The transition from a summer of hermitage in the desert to an autumn of frenetic cosmopolitan life in one of the biggest cities in the world is not to be taken lightly, but however abrupt, it was a welcome change. And oh, Mexico, how I love you already. I have never in my life enjoyed EVERY SINGLE MEAL of every day to this extent. So many flavors, so rico, so cheap. The rest of my life could be in shambles and I’d still be smiling in Mexico, because: tacos. And this, coming from one of the most difficult eaters you’ll ever meet (gluten-free + ovo-vegan = challenge for everyone involved). And there is so much to do, an evening stroll turns into a free concert, an impromptu protest, or an artisan market. I haven’t lived in a big city since study abroad in Buenos Aires and most of the places since then have been small, rural towns, so I’m pretty darn awed by how one public transit system can encompass such a diversity of places to go and things to do and culture culture everywhere. And my new gig? Management Systems International (MSI) is a subsidiary of Coffey International Development, and contracted by USAID to carry out projects in different countries of the global south. I’m on the Monitoring and Evaluations (M&E) team, and one of two English speakers responsible for writing MSI’s reports to USAID on their current project here in Mexico. As a Development Studies major, the fact that there’s a USAID sticker on the smart phone they gave me is a conflicting experience, but a welcome one. My first month here has been spent mostly eating tacos and getting lost in the city, but we’ve also been hunting for an apartment, running in the Bosque de Chapultepec (it’s a giant park, but doesn’t forest sound way better? ), exploring downtown and finding all of the panaderías that sell pan de elote (naturally gluten-free, sweet corn bread). On Saturday mornings in Nebaj, on the stretch of road behind the catholic church, is the weekly organic farmer’s market. The instagram image of a “farmer’s market” is not what you’ll find in Nebaj. 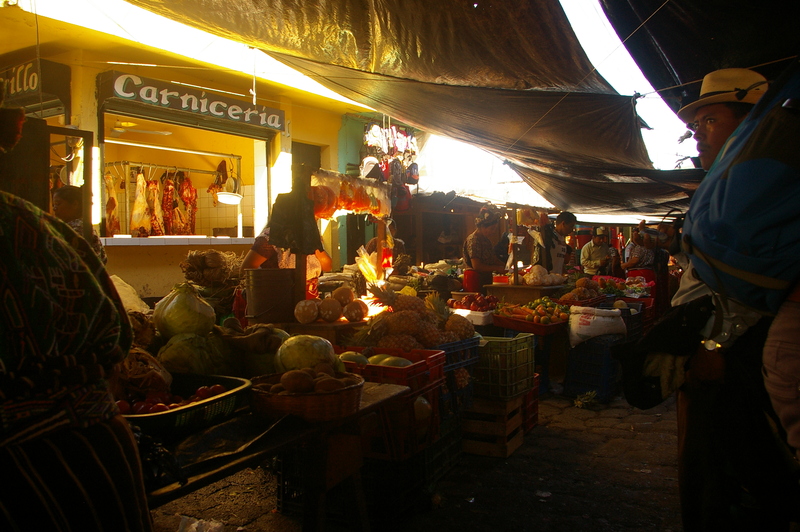 The rise of the farmer’s market in North America provides an interesting contrast to the situation in Guatemala. 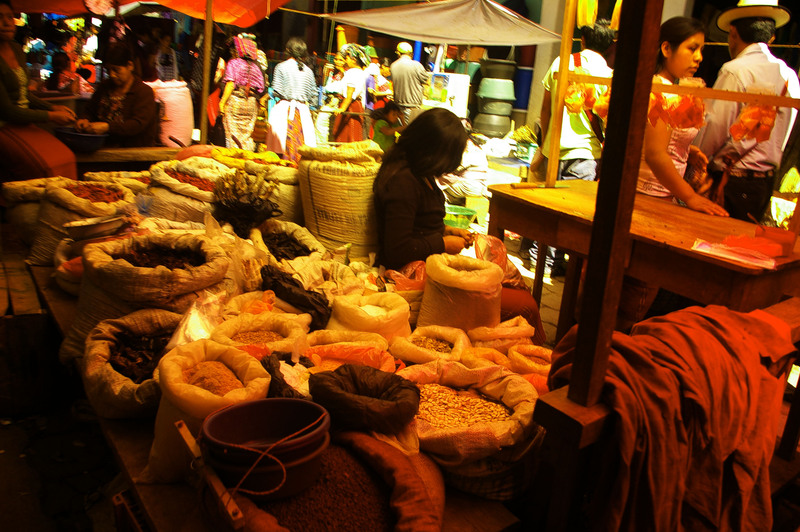 In Nebaj there is “the” market, as in the standard Guatemalan scene. “The” market is active every day of the week (with extra chaos on Sundays and Wednesdays) and is composed of a series of narrow streets and alleys packed with vendors selling fruits and vegetables and machine-made clothes and rice and soap, etc. It’s almost all imported, including the fruits and vegetables, from other parts of Guatemala and sometimes Mexico (ALL the eggs come from Mexico). By most North American standards, this sounds pretty farmer’s market-esque. One might assume that small-town Guatemala is a locavore’s paradise, sustaining itself on the rich harvest of its neighboring green mountains. Not so, with most of that produce being corn and coffee and other cash crops shipped elsewhere in exchange for fruits and vegetables shipped from the pacific coast and an area around Xela where big agribusiness produces that which supplies many North American supermarkets. Small towns like Nebaj get the rejects, sold mostly by intermediary vendors from other parts of the department of Quiche. A deeper explanation of the social and economic context would be good here, but in my limited way I’ll just note that in rural Guatemala “organic” is to many just a nicer way of saying “too poor to farm the better way,” as in, the conventional chemical way. Years of USAID funded extension programs have rendered a firm belief in chemically-empowered agriculture, and considering the difference in crop yields, it’s hard to blame anyone without sounding preachy about environmentalism. In any case, the creation of the Nebaj farmer’s market was an uphill battle. A battle whose charge was led by a European Union-funded development project no less, but at least locally designed, implemented, and managed. 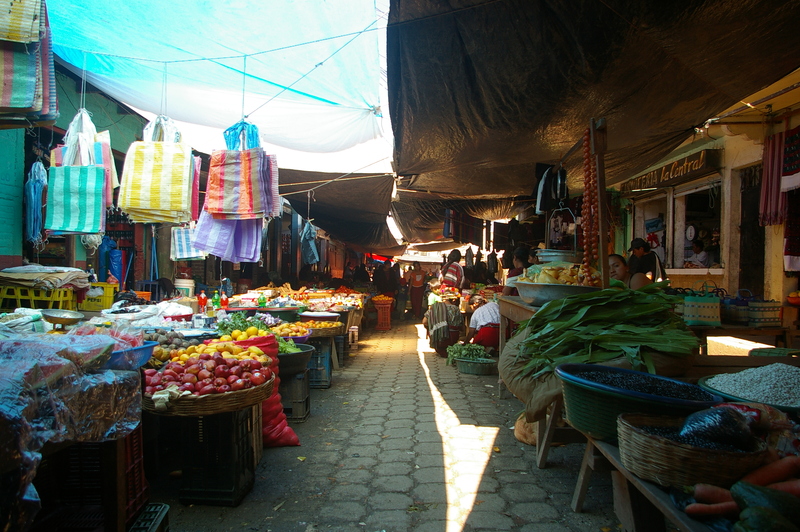 After months of recruiting small-scale farmers in Nebaj that didn’t use chemicals (some for lack of resources to buy fertilizers and pesticides, but some also out of an inherent belief that organic is still better), Fundación Maya inaugurated the first Mercado Campesino (farmer’s market) in Nebaj in the spring of 2013. Each Saturday morning we would grab our baskets and head to the parque central where about 20-30 Ixil Mayan women (and a few men) would be perched on the steps outside the church with their own baskets of surplus goods. Bananas, leafy greens, peppers, squash, limes, sometimes huevos criollos (organic, home-raised eggs), and even the Guatemalan god-send that was Pan de Elote (naturally gluten-free corn bread). All for cheaper than at the usual mercado, all fresher too. These were perhaps the only instances where my Spanish utterly failed me in communicating with Ixil-speakers (tantixh nan? ), but a transaction was always achieved, and to their benefit I was incapable of bartering. Racism against indigenous farmers thinly veiled as town politics would later see the mercado campesino moved to a less central, less visible location, and there were reports of outside vendors buying up the organic produce and re-selling it for higher prices in the usual market, as social ills are never so easily circumvented. 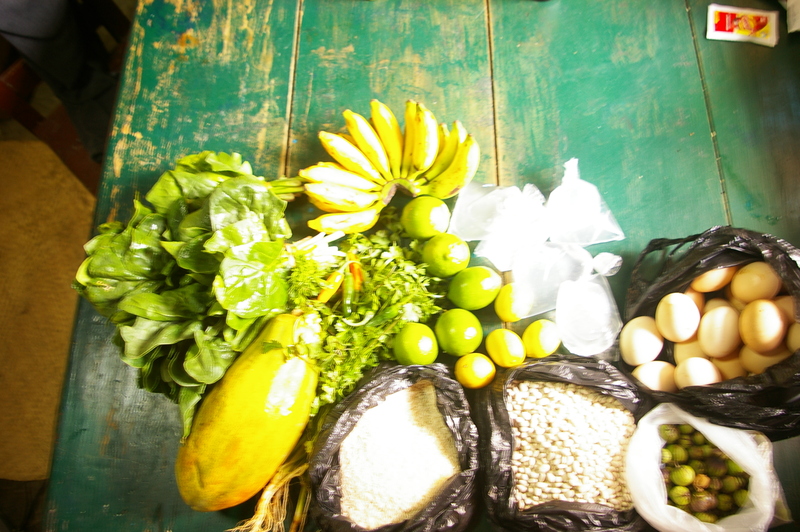 But the mercadito lives on, bringing quality local produce to the community and supplemental income to those farmers resilient enough to stay true to their organic roots.